Our afghan kush variety of great therapeutic value, thanks to its high production cannabinoids, is characterized by the density of its buds covered with beautiful resin glands. Its junction with the classic Indica: skunk 1 (first real cultivated hybrid indica-sativa), shows the true meaning of hybrid vigor, further increasing production and the therapeutic value of the known afgan kush. The high therapeutic value of Afghan Kush x Skunk brings him great cannabinoid production due to the result of crossing our Afghan Kush coming from kush lineage varieties grown in a small area in the north of Afghanistan, in the mountains of the Hindu Kush, genetic 100% Indica Skunk # 1 with mythical the first true hybrid indica-sativa genetic comprising Afghan , Mexican and Colombian . strain that changed the face of cannabis culture across the world. 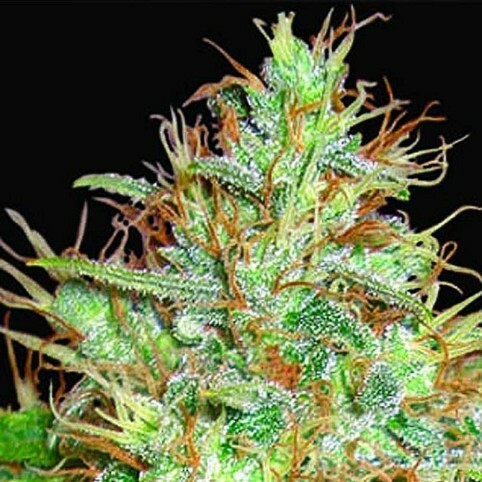 Afghan Kush x Skunk is a beautiful and lush plant that can grow up to 2 meters tall, this plant is characterized by the density of its buds covered with beautiful resin glands. Get ready to learn the true meaning of hybrid vigor. If Afghan Kush are characterized by their great medicinal value, the junction with Skunk (first true hybrid indica-sativa) increases and multiplies its production and its therapeutic value.